Against the movement of public antiquities into the private art market. When we discuss illicit antiquities, we usually talk about objects that have been removed from archaeological context by non professionals in violation of local law. They are objects that are inherently tainted and without past, present, and perhaps future. They are often connected to other crimes: trafficking, fraud. In her short piece in Antiquity, Alice Stevenson presents another type of illicit antiquity as well as the disturbing challenges to our preservationist ideals that such artefacts on the market represent. Stevenson’s antiquities aren’t looted, trafficked, or illegal….but they might be unethical. What should we think about museums selling off old pieces from old collections? Stevenson argues that we should think it’s wrong. And I agree. There is a mostly unwritten (but sometimes written) ideal in the museum world that public institutions are the final home of art and antiquities. Even if the poor objects have been battered, monetized, and commodified by the horrors of the art market, when they finally find their way to a museum all of humanity can breath a sigh of relief. The objects are safe now, they will be cared for, protected, and made available for study. This is the foundation that the modern museum is built on. Yet now, when government definitions of ‘austerity’ mean disproportionately gouging the very institutions to which we entrust our culture, identity, education, and collective flowering of all human endeavour (you know, instead of maybe taxing the heck out of some ephemeral-in-the-long-run, useless megabusiness), those institutions are being forced to make tough decisions just to keep the lights on. They’ve already cut paid staff and casualised the specialised work force. They’ve already introduced entrance fees for what was once free and public. They’ve already accepted money with strings from those same horrid megabusinesses. Now what? Some are turning to selling parts of their collection. Obviously the heritage world is freaking out about it, but we are largely powerless to stop it. 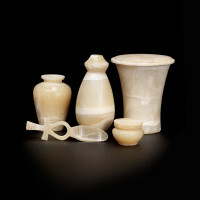 Stevenson focuses mostly on the sale of Egyptian objects held by the St. Louis chapter of the Archaeological Institute of America. The pieces in question had been excavated by teams working for the archaeological god Sir Flinders Petrie in 1913/1914. These antiquities weren’t looted: they were fully contextualised and had been exported in accordance with the law of the day. Furthermore, they were not commodities. The artefacts were a collection given by Petrie to a scholarly institution that had backed his archaeological work; given specifically for study and specifically NOT to be sold. Sounds great, right? It was. Everything was fine for a full century. Then the St. Louis chapter decided to sell them, or at least their board did, and everyone freaked out. I freaked out too. It is hard to put to words the level of disgust felt by me and my kind. It was hard to see this board as anything other than monsters who betrayed both the memory of our much loved foundational weirdo (Petrie, gosh he was odd), and sold out the very foundation of all archaeology and all museums for a few pieces of silver. Eventually they were all forced to resign. They’d be wise not to show up at any archaeology meetings anytime in the future. Stevenson points out that in this case the auction didn’t quite go through: the more moneyed than most MET stepped in and bought the artefacts thus saving them from the sucking abyss of the private art world. Sure, these pieces are, once again, available to us all, but it is hard not to worry. How long before the MET starts selling things off? What about formerly public artefacts that enter the market and fail to find another public savior? Indeed, Stevenson discusses two such cases. The statue of Sekhemka, sold at auction by the Northampton Museum to major criticism and ongoing legal action, and two Mesoamerican pieces also flogged by the St. Louis AIA. The second case is both personal and painful to me for reasons that Stevenson touches on but doesn’t quite go into. See, the two Mesoamerican pieces were excavated by another archaeological god, Sylvanus G. Morley, and given to the St. Louis AIA under similar circumstances to the Petrie items. They have context. They weren’t meant to be sold. What Stevenson doesn’t record is that I’m the one who first linked the pieces to Morley in the public press after a bit of research based off the limited information presented in the Bonham’s catalogue. Morley isn’t mentioned it it, just place and date. A weird turn of research events that showed that Bonham’s had sort of incorrectly cited an article where one of the pieces was published…and that article was really by Clemency Coggins, famous for her groundbreaking work against antiquities looting and trafficking. Coggins was upset to hear what was happening to those pieces. Now I am not mentioning my own involvement here to request back pats. Quite the opposite. Tying those pieces to Morley is something I sincerely regret. As Stevenson points out, the one Mesoamerican effigy vessel sold for nearly three times its estimated value. Perhaps this increase was because everyone involved knew the artefact wasn’t looted, a rare chance to buy a totally legal (if totally unethical) artefact. But perhaps, perhaps someone out there with a pile of cash wanted to own a piece of archaeological greatness. I myself went to Mesoamerica in my very early 20s with a tent and a hammock, clutching Morley’s writings…I would imagine I was him. Other people feel that way, especially people who have feels for Mesoamerican artefacts. Did my linking of the piece to Morley increase its value on the market? Did *I* aid in the destruction of that which I love? The antiquities market thrives on attaining the highest possible price for objects. It is simply not an appropriate conduit for transferring archaeological heritage, and auction houses should not be the middlemen for the disposal of material that was to remain in the public trust. I totally agree. And I think we have to deal with this NOW. Funding is only going to get worse. We are only going to see more of this. The question is are we going to lament each loss after the fact like we are doing now or are we going to put real, strong, effective policy measures in place that prevent this from even being considered and actually punish anyone who pushes public heritage into the private art market? I hope the latter. I fear the former is more likely.